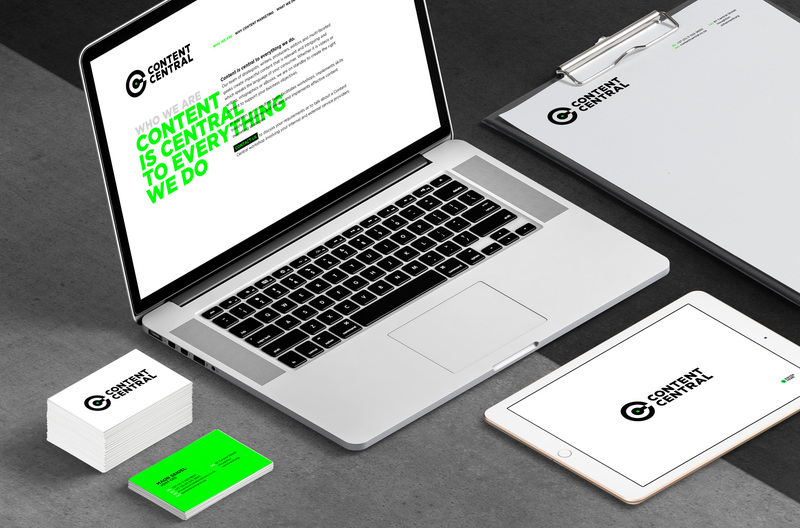 Content Central is a content marketing agency that required a new logo for their website and marketing collateral. 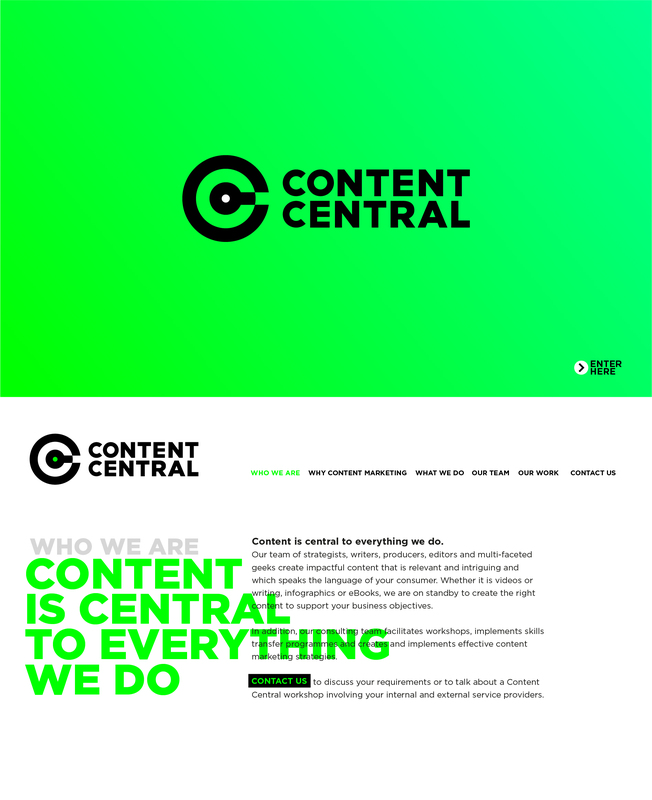 The logo was created using two C’s, as well as a target representing central, focused, targeted and the epi-center. The colours are not only luminous, but are best represented digitally, the world they will predominantly live in. The neons are contrasted with black and dark greys, giving it a contemporary and fresh look. A bold, simple and confident typeface was selected and crafted to achieve better symmetry.